for $359,900 with 3 bedrooms and 3 full baths. 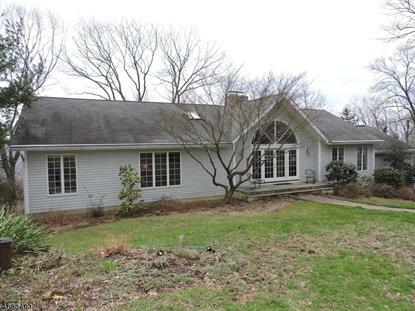 This home was built in 1990 on a lot size of 3.80 Acre(s). FABULOUS 50 MI VIEW ABOVE JENNY JUMP STATE PARK!GOURMET WHITE KIT W/GRANITE, CENTER ISLAND, PANTRY, WET BAR, LAUNDRY.SUNKEN LIV RM W/ CATH CIEL, FLOOR TO CIELING STONE FP AND BUILT IN JOTEL.GLAMOUROUS MASTER SUITE W/DRESSING AREA, HUGE CLOSETS, , BIDET, PEDESTAL SINKS AND SOAKING TUB W GARDEN WINDOWS.CENTRAL AIR, SOLAR PANELS PROVIDE LOW ELECTRIC BILL.GOLD FISH POND.DEER FENCED.GATED ENTRY .CIRCULAR DRIVE.LANDSCAPE LOADED WITH FLOWERING AND ORNAMENTAL TREES AND SHRUBS.TERRACED GARDENS.2X6 WELL INSULATEDED EXTERIOR WALL CONSTUCTION.BRICK FRONT WALKWAY.GUTTER GUARD.BEAUTIFULWOOD FLOORS.HOME IS LIGHT AND BRIGHT WITH SKYLIGHTS, CATHEDRAL CIELINGS, OVERSIZED WINDOWS, & MULTIPLE FRENCH DOOR SLIDERS TO THE TREX DECK.NICE WORKSHOP.GENERATOR HOOKUP.A RARE MAGNIFICENT WELL LOVED CUSTOM BUILT HOME OFFERED FOR THE FIRST TIME.